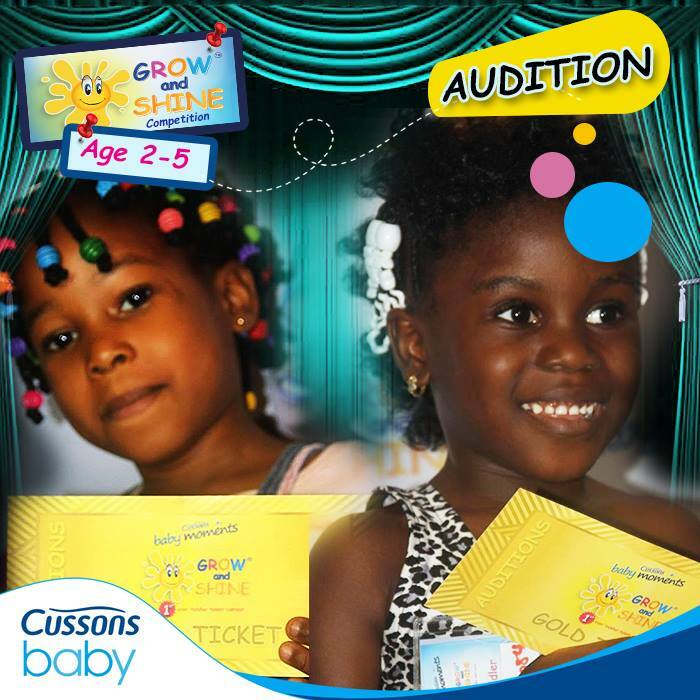 CUSSONS BABY GROW AND SHINE CONTEST AUDITIONS. The next audition for the Grow and Shine contest will be holding on Thursday by 9am at the Soujourner by Genesis, 16 Oba Akinjobi Street GRA, Ikeja Lagos. If you didn't get the chance to register or attend the first auditioning, here is another opportunity for you, don't miss it! Awwww.I love this kind of promo.